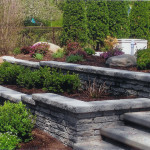 Retaining Walls Construction Company North VA, MD, Wash D.C.
Northern VA Patios & Construction has been designing and installing retaining walls for Northern Virginia, Maryland, and Washington D.C. and some of the surrounding areas for well over 25 years and we are proud to be a part of each community that has let us in their homes and yards. We have enjoyed getting to know each and every client. 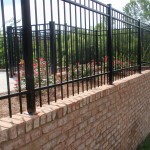 We provide our customers with many services including the design and construction of retaining walls. 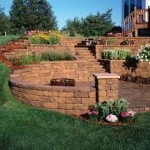 A retaining wall can be built to do several different things. Most cases the reason for a retaining wall is to hold soil that would otherwise be drooping and cause erosion or the wall is also to hold backfill on one side of the wall, as it’s built at a vertical angle. Retaining walls will either be dry and stacked it will be set in mortar. One of our contractors and exterior designers will work together with you to help you make informed decisions about your structural and designing choices for your construction projects. 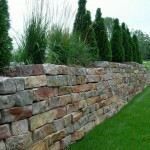 We will take in to consideration what your budget is and what your personal goals are for your retaining wall project. If you are building a retaining wall to help correct an existing slope or if you are hoping to avoid a future slope in the earth and to prevent erosion then read below. 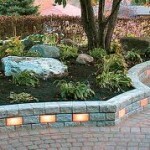 There are several directions and angles that a retaining wall would need to be built. After evaluating your area, our contractor will go over what kind of retaining wall that you will need and go over what kind of maintenance you will need to do to keep it nice. At Northern VA Patios & Construction we are familiar with the building requirements for each county that we work in. We will work with you and guide you through the process of obtaining permit information and go over what to talk to your homeowner’s association about to stay within all legal guidelines. 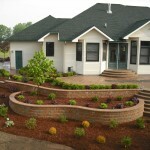 Your retaining wall should blend in with your entire property. If you don’t already have an idea about what you would like to build your retaining wall out of then we can walk you through the best materials for your property in regards of design. 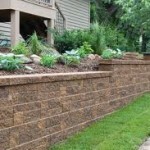 If done right, your retaining wall is another investment adding more value to your home, not to mention all of the curbside appeal you will be adding! Retaining walls are built with an inner wall and base in the ground but also with a ‘veneer’ over the inner layer. 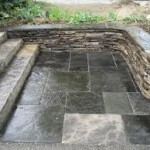 The ‘veneer’ can be built out of flagstone, natural stone, brick, stone, and pavers. We would be delighted to bring our knowledge and experience to your landscaping project and create the yard of your dreams. Call us today at (703) 349-4433 Northern VA Patios & Construction to ask questions or to schedule a consult.